24 oz Grand Journey Travel Cups with Lid and Straw. This double walled 24 oz. 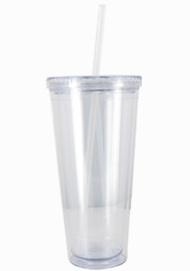 stadium cup is made of durable BPA free plastic with a seal-tight screw-on lid. 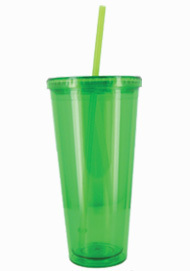 The heavy weight straw has a stopper on one end to prevent it from falling out. Fits in most car cup holders. 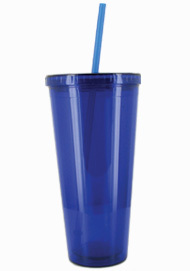 With this high quality cup, you’ll never have to worry about beverage spills again.